Labor Day marks a turning point in the year. We buckle down in school, pumpkin spice fills the air, and we start to count down to the holiday season. 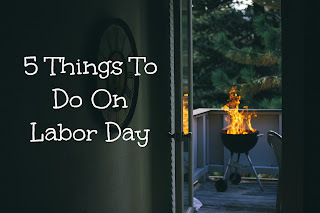 Labor Day is our last holiday before the craziness of the end of the year ensues. 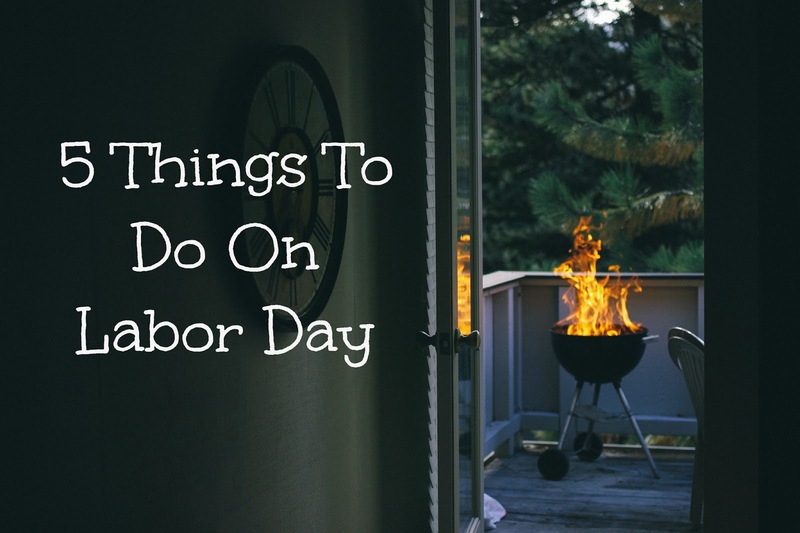 Make your long September weekend count by doing these five things. I'm not talking about throwing frozen hamburgers on the grill. Pull out your best summer recipe and fire up the grill. The weather will turn cold soon, so get out there and put those summer grilling skills to use. Try this recipe for delicious flavors you will savor. Do not waste a day at the mall or by yourself (unless you are a sleep deprived mom; please get some alone time). Invite your friends and family over for the delightful food you are cooking up. Spend time with the people that make you happy and bring joy to your home. Have you been to a party where no one was talking except to someone on the other end of the texts? It's not how we socialize the best. Look up from your screen and say hello to the neighbors. Have everyone put their phones in a basket by the front door when they come over. Encourage face to face communication on this day of no labor. Prepare your Labor Day festivities the night before, and enjoy a late morning snooze. Sleeping in is a rarity when little ones come along, but maybe you can tag team with your spouse. He gets up early Saturday, and you get up early on Monday. Sleep is a wonderful thing. The summer nights are coming to an end, so take advantage of the extended hours while they last. Take the festivities outside. Meet friends at a park for a game of ultimate Frisbee. I hear it's fun, but I've never tried it. You could also take a day trip to a place you keep meaning to visit. The possibilities are endless. Just get outside! What activities do you consider a must on Labor Day? Share with us, so we can glean from your marvelous ideas.